Gate of transcendence: According to civilization or science to religion or philosophy the name of the gate differs as well as the concept of this issue but the gate is one. I am the door if anyone enters by Me he will be saved and will go in and out find pasture. John 10:9. I am the way the truth and the life. No one comes to the Father except through Me. John 14:6. 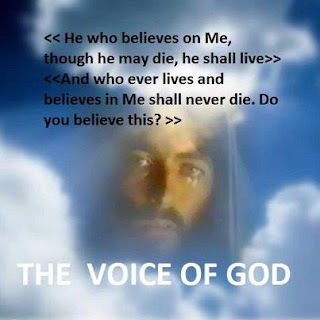 Gate of transcendence: We read in the Holy Bible God create man to His own image and to his likeness, Jesus Christ says: Truly truly I say to you he who believes in Me the work that I do he will do also and greater than these he will do because I go to the Father. John 14:12. Where will the greater work be done before the gate or after the gate? Where is the Father abiding before or after the gate? Gate of transcendence: I am the light of the world; he who follows Me will not walk in the darkness but will have the light of life. John 8:12. This light of the truth says that man is eternal with unlimited abilities and slowly to become light like his creator God. Where is the light before or after the gate? Gate of transcendence: Till today we know that sickness senility and death is acquired something immoral and unjust. Now we reveal our choice replacing the code to health longevity incorruptibility. Because we always knew that moral good and beautiful was natural. Now we want the moral we are able and we can have the good we chosen the beauty not the ugly. It is time to cross the gate. Gate of transcendence: The fear sickness and death are conceivable to us as ugliness, degeneration and confusion. Life beauty and peace becomes conceivable as auspicious and bless. It is our choice to open the gate of transcendence passing from good to better and live eternally with health harmony and beauty. Gate of transcendence: when we cross the gate of transcendence we are going to meet all things which are in us, like unlimited ideas innocent love multi various wisdom of God all these we want to express them in speeches as word of love as a new reality to all of us. How close is paradise from hell? The gate of transcendence separates them. Gate of transcendence: Knock and it will be open to you. Will be open to us the truth of real life the reality of eternal life the substantiation of incorruptibility the simplicity of sinless and the answer is there is no life after death. Life after death is a gimmick; it is an invisible product <<salvation after death>> with many retailers brokers’ businessmen in this chamber of commerce well established in a perpetual repetition. There is no doubt about immortality it is already happening let’s focus on the beauty that immortality provides. We are everlasting, wise, eternal, natural children of the universe children of the one God. Gate of transcendence: What say the multitude of our immortal brothers for the gate? Are we going to cross the gate? Cross the (red sea) going from the land of slavery to the promising land of freedom? Are we going to pass over from death to life? The gate is waiting the sons and daughters of God to enter the kingdom of heaven. I wonder why some people want us dead, why some castes want us isolated, limited, uninformed jailed in ignorance. It is obvious they don’t want us to know the secret of the gate the secret of freedom. You will know the truth and the truth will make you free. I wonder why some people tried to alter and counterfeit the life the deeds and the words of the incorruptible and immortals. I wonder why some people made god according to their own logic poisoned with phony faith hate and deceptiveness. Gate of transcendence: The time came to understand the joy the beauty the health the prosperity and millions of other sights of life therefore consciously to open the gate. The eternity is there as well as the kindness of the natural forces of love life creativeness. It is essential to know that we all are children of God and everything will be fine. Let’s demolish the fake gods of our past and begin slowly but consistently the creation of the kingdom within us, the establishment of the living faith of the living God. After this we will not need any more to follow priesthood or an infatuated guru or believing to the super natural powers as senility sickness fear death. But take courage I have overcome the world. Gate of transcendence: Our brothers with the incorruptible bodies at the immortal stage know that rebirth is the direct access to the temple of eternity peace harmony and perpetuity where the cells of the body radiate photons of purity. The final and irrevocable victory against the delusion is now in this life now and forever, the gate opens now today. Behold now is the acceptable time behold now is the day of salvation. Gate of transcendence: If we acquainted with ourselves will know everything. We don’t have to look around we don’t have to ask others or depend on others. Inside us we will find the freedom the strength and the unlimited kingdom of heaven because it’s inside us, then where is the entrance to the kingdom? The time came man can become the real image of living God, should be already. We must cast out from our lives all the phony gods like sickness fear ego senility death. Of course we may use the wisdom of Wiseman the experience of enlighten men but not to create a dogma with their words. We must be careful not to bind our spirit, not to put our thoughts in captivity and our freedom in slavery. Only when we are free and innocent can think realistically and make the right decision. The one who thinks freely he thinks correctly and opens the gate of life. Gate of transcendence: It seems today for the man the sentence to death has nullified. A superior intelligence redeems us from the curse from the reduced perception. The destination is the light of eternal life here and now but not somewhere far away and in the future. We do not have to convert the way in to the fantasy kingdom; the gate is not the kingdom. For a wide door for effective service has open to me. Gate of transcendence: I wonder what will happen to the phony gods to the clergy without death. I wonder what will happen to all those who believe in manmade religions to those who devote their lives to men commandments to those who sacrifice their lives servicing clericalisms. Now is the time, fear senile death will cast to tomb of disappearance. Upon this rock I will build My church and the gates of Hades will not overpower it. Gate of transcendence: Death is illness it is a defect of DNA. In the human nature there is the elixir of life with it life can be extended indefinitely. Let’s go through the gate now with this body, why after death? Surly death cannot abolish the real life nothing from the divine form of the human existence. In reality death cannot destroy this particular material existence in its present form. The decipherment of the genetic code and the discovery of natural science announcing the moment immortality will become reality in this life, why not. Let the dead bury their own dead, you follow Me. I don’t want to be among the dead. Gate of transcendence: The universe does not impose terms or dogmas against love. If there is something in the universe this is love and nothing else. Love cares for the best. Love has the power to unite to sustain to maintain and perpetuate the universe. Albert Einstein at the end of his life understood that all forms of energy are the yarns of the same rope; of all these yarns we will pull the one knowing to science to get out of the labyrinth (maze) and lead us to immortality. Science, in its one way, discovers potential, after we are the secret but also the solution of it. We have to think about and say I want, I dare, and I apply. Let’s put in our mind the value of the light and immortality which is the sublime target for us. Let’s become the anointed and destined to everlasting and immortal life. I also say to you that you are Peter and upon this rock i will build My church and the gates of Hades shall not prevail against it. Do you believe this? Let it be done. Amen. Αναρτήθηκε από NIKOS στις 10:44 π.μ.